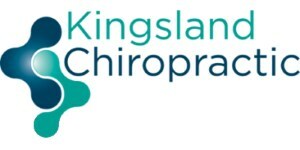 If you are unsure whether chiropractic is for you, then you are best to make an appointment for a 15 minute free consultation. If you are unsure whether chiropractic is for you, then you are best to make an appointment for a 15 minute free consultation. We will discuss your main complaint and check your spine for subluxations. At this point you will be told whether or not chiropractic can help you, and if so you what the next steps are. This is a great way to begin, as there is no pressure for you to continue if you decide you will not benefit from chiropractic. If you know that you want to begin chiropractic care then you should book for a new patient visit. This appointment takes around 45-60 minutes and involves a thorough assessment of your health history, an examination of your spine using chiropractic, postural, orthopedic and neurological testing. The information gathered on this visit will give us a thorough understanding of your current spinal health, and allow us to recommend the best chiropractic care for you. Once this is complete we may begin adjusting you on this visit, or we will refer you for x-rays or other treatment that may be appropriate. On your next visit we will discuss what we found from your examination and make recommendations for your follow up visits and home care. Your schedule will depend entirely on you, your spine, and your goals, and will be designed to give you optimal results. A reassessment visit will be scheduled to ensure we monitor all elements of your progress.